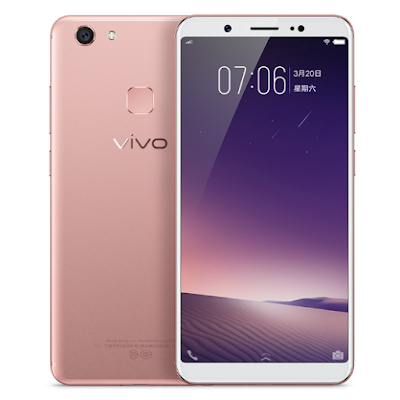 Vivo has launched Vivo Y79 smartphone in China which looks similar to Vivo V7+.It has a 5.99-inch (1440 x 720 pixels) FullView display with 18:9 aspect ratio, narrow bezels, and 84.4% screen-to-body ratio Powered by 2GHz Octa-Core Snapdragon 625 Processor with 4GB RAM and 64GB internal storage. On Camera, it has a 24-megapixel front-facing camera with LED flash and 16-megapixel rear camera with phase-detection auto-focus (PDAF) and LED flash. Dual SIM device runs on Funtouch OS 3.2 based on Android 7.1 (Nougat). Packed with a 3225mAh battery. Vivo V79 comes in Rose Gold, Champagne Gold and Matte Black colors priced at 2498 yuan ( Rs. 24470) in China.